The truth about missing children is hard to understand. The numbers that come with this reality are difficult to decipher. From 1997 to 1999, as many as 797,500 children went missing. In 2016, 465,676 cases of missing children were reported to the FBI. Although that denotes a significant decrease from the number recorded in 2006, which was 662,228, that does not make the issue any less alarming. The numbers are scary. It makes you ask, why? Why does it happen in the first place? Why are we letting ourselves be kept in the dark as to the root cause of all this? Truth be told, there are many reasons why children go missing. Here are some of them. To understand a problem is to know what causes it. Here are the top five reasons why children go missing everyone must be aware of. Young as they are, children are incapable of deciphering what’s right and wrong. When stuck between two different paths, they wouldn’t know which one will take them home. This is why supervision is important. As a parent, to keep an eye on them is part of the job description. Unluckily, some parents don’t have any other choice but to take their eyes off their kids to do tend to other important matters. In some households, both parents have to work to make ends meet. With no one else at home to take over the task of watching over them, some children wander away only to disappear without trace. Especially in rural areas where the growing number of houses and buildings only increases the risk of getting lost. Both Adam Walsh, 6, and the Lyons sisters, 12 and 10, were at the mall when they disappeared. Walsh was with his mother, who went to inquire about a lamp on sale and left the boy at a kiosk. He was never seen again after that day. The Lyons sisters, on the other hand, were out to have fun at a mall all by themselves. They never made it home. They and a lot of other children were deprived of enough supervision, which led to their tragic fate. Extreme poverty is one of the main reasons behind many problems, and one of those problems is the disappearance of many children. Some children, who have always lived a difficult life, believing that maybe the next city could offer them a better life, end up leaving their homes, only to be faced with a worse problem. Some are forced into free labor; some are sold into slavery and sexual servitude. It’s poverty that had them walk away, and it’s poverty that will prevent them from ever finding their way back. Parents of some missing children who live in extreme poverty do not have the time, manpower, and resources to look for their kids. They don’t have any way to phone the police and report the case. 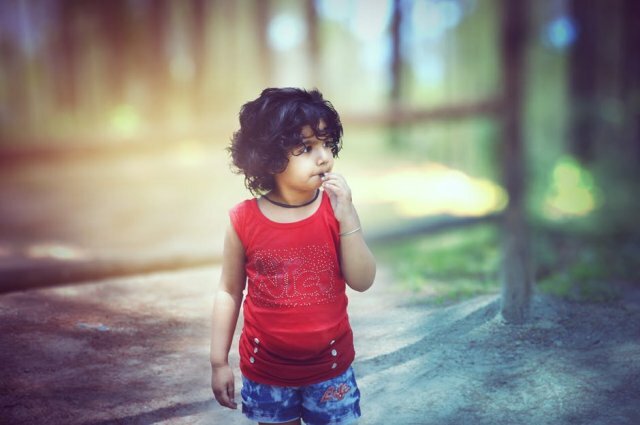 Although also deemed a type of missing children rather than a cause, parental abduction is one of the things to be blamed for the saddening rise in the number of missing children. 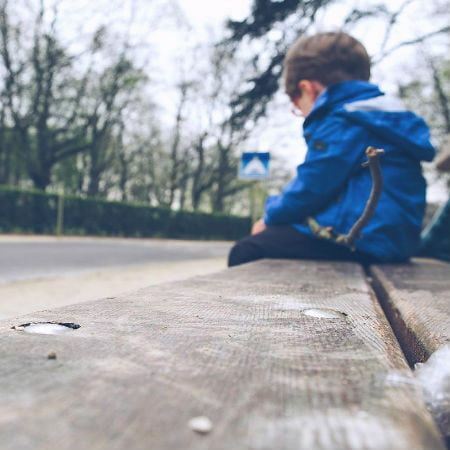 This case is characterized by the taking, concealment, or retention of a child by one of his or her parents in violation of the rights of the other parent who is given legal right to care for the kid. In these cases, the other parent or other family members are forever kept in the dark as to where the kid was taken or if they’re even in a safe place. It is not a reason cited as often as the ones on this list, but it remains one of the reasons behind some cases of missing children. In some regions in the world, forced marriages are still prevalent, and for some children, it is a life they never want to live, giving them no other choice but to leave the house they thought was their refuge. There’s also the case concerning genital mutilation. While this ritual has always been the subject of countless debates, it is still practiced in Africa, Asia, and the Middle East. The rite that involves intentional cutting of the female genital has induced fear to every girl. With the want to escape such fate, many of them run away and never found again. Another reason children run away is domestic abuse, one of the worst things a child could ever be subjected to. No child would want to continue living under the roof that only brings them bad things. So some step out in hopes of finding freedom outside the four corners of their own home. Mental illness can cause a child to become lost, and due to their inability to speak, think, or move the way a normal kid would have, they tend to forget where they live or fail to identify themselves. One noteworthy case is that of six-year-old Adji Desir, who went missing on January 10, 2009. Adji has developmental issues, he’s six but thinks like a two-year-old. He was playing outside his grandmother’s house when he strangely disappeared. The family fears that because of the boy’s inability to speak and fear of strangers, it must have been hard for him to find his way back. Just like with any other issue, with missing children, prevention is better than cure. There are ways a parent can protect their children from ever going missing. Now that we know the reasons why children go missing, let’s seek ways we can prevent this from ever happening to our child. It’s easier said than done, but to always have your eyes on your kids is the most basic form of protection you could give them. House chores tend to distract us, but we should not let it take our attention for a significant amount of time. The curious minds of children take them to places they should never be in. Or the diabolic tendencies of people around are enough reason for them to kidnap our children. Always be alert. If you really have things to do, check on them from time to time, as often as every five minutes. Never let them play where you could not see them. Keep them near you. You don’t want to rob them of their freedom or act overprotective, but sometimes, we have to go beyond what we think is just right all for the sake of safety. To educate your kids about the dangers they are exposed to is one way of protecting them. Open their eyes to the reality that the world out there is not as safe as they thought it is. Once you have them understand this, teach them ways on how they can protect themselves. Some of them may be too young to learn any of these, but if you think your child is at the right age for some basic training, do not hesitate to give them that. Children as young as 10 have cell phones nowadays. You give it to them so they can have fun, but don’t let the chance to use it to protect them slip away. Always remind your child to contact you if they feel like they’re in harm’s way. Teach them hotline numbers, whom to ask help from when they feel lost. Another way is to attach GPS kid trackers to their clothing. This works best with kids that are too young to even dial a number on the phone. These devices will serve as your eyes when you cannot be with your kids physically, especially when they’re at school. GPS tracking devices are able to send you your child’s real-time location, making it easy for you to determine their current whereabouts at any given time. The world is not as safe as we think it is, but with the right form of protection, we can save our children from ever going missing and facing the fate they don’t deserve to struggle through.